Law enforcement and cultural heritage experts from across the U.S. government recently partnered in Lima for a series of workshops that trained more than 70 representatives from the Peruvian National Police, government, cultural entities, and church archdioceses on enforcing cultural heritage law. Sponsored by the Department of State’s Cultural Antiquities Task Force (CATF), the workshops were a joint effort between the U.S. Embassy in Lima and Peru’s Ministry of Culture, within the framework of a bilateral Memorandum of Understanding (MOU) for the protection of cultural heritage, in force since 1997 and renewed until 2022. The “Cultural Property Crimes Law Enforcement Workshops” trained two groups between May 7 and 16, 2018. 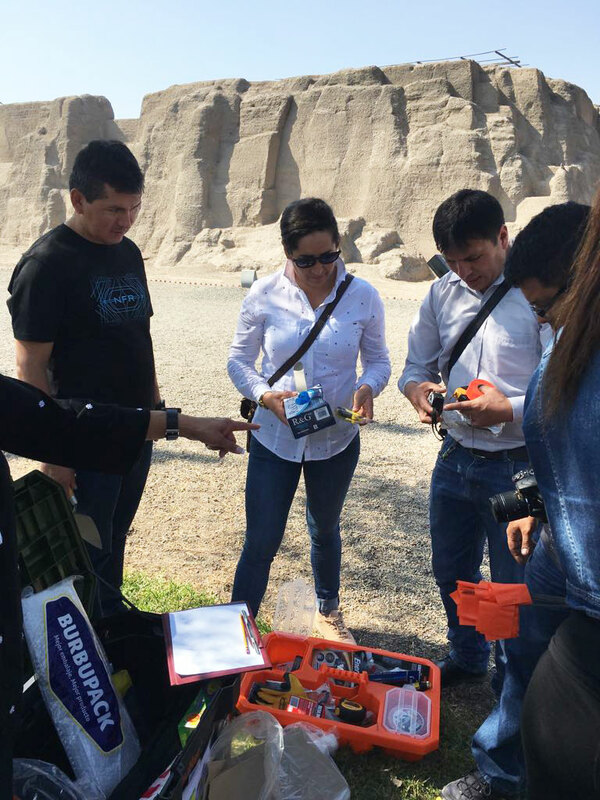 Participants included 17 individuals from the Peruvian National Police and 57 stakeholders from the National Library and Archives, archaeological sites, the Catholic archdiocese, the Ministry of Foreign Affairs and the postal service. 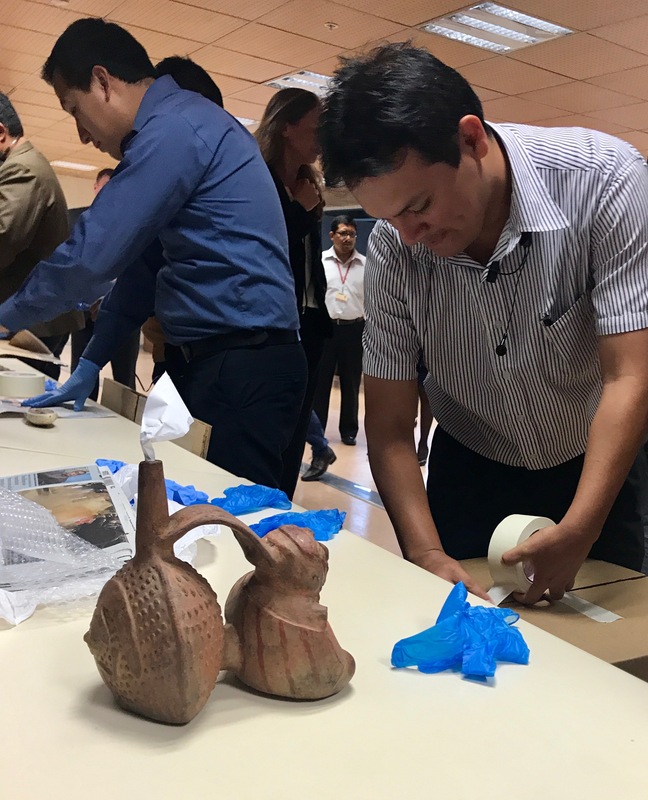 Topics included the U.S. and Peruvian legal systems, the bilateral cultural property MOU, the global antiquities market and looting, case studies and hands-on activities like proper handling of art and cultural artifacts. The workshops were co-led by the Federal Bureau of Investigation (FBI), Homeland Security Investigations (HSI), and the U.S. Forest Service. “Protecting cultural patrimony is everybody's job. That is why these workshops are valuable opportunities to share experiences and improve coordination between institutions in Peru and with our colleagues in the United States,” said Leslie Urteaga Peña, Director General for Protection of Cultural Heritage at the Ministry of Culture of Peru. Established by the U.S. Congress in 2004, the CATF is led by the State Department’s Cultural Heritage Center within the Bureau of Educational and Cultural Affairs. It comprises federal agencies that share a common mission to combat trafficking in antiquities in the United States and abroad. Along with coordinating activities among member agencies, the CATF focuses on training law enforcement and customs officials, as well as supporting local governments, museums, and preservationists around the world in the protection, recovery and restoration of cultural antiquities. Since its creation, the CATF has supported more than 75 international and domestic cultural property training programs.